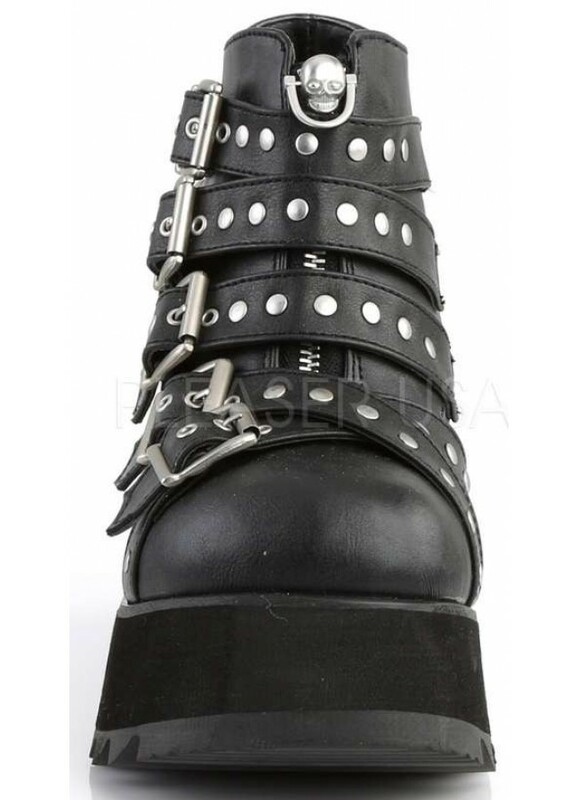 Black vegan leather boots for women have a platform heel and skull head zipper closure. 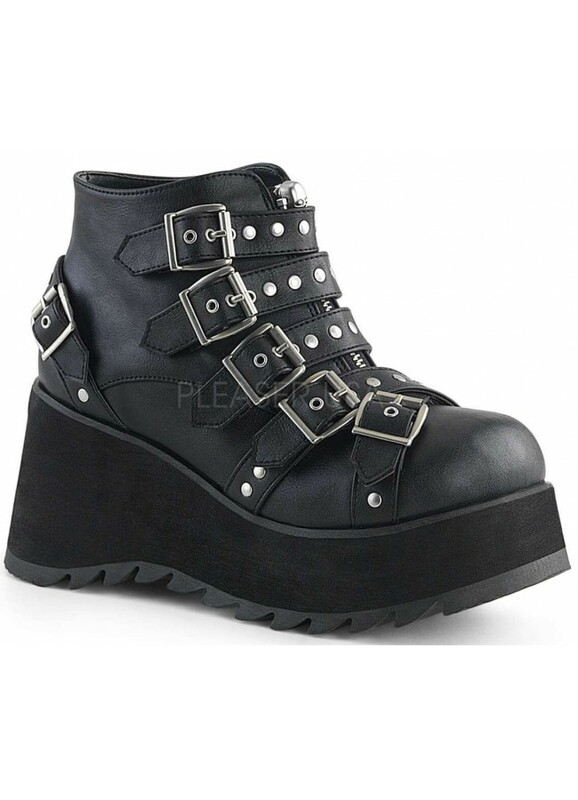 Scene 30 is a womens platform boot with zip front accented with a skull pull and riveted cross straps with buckles. 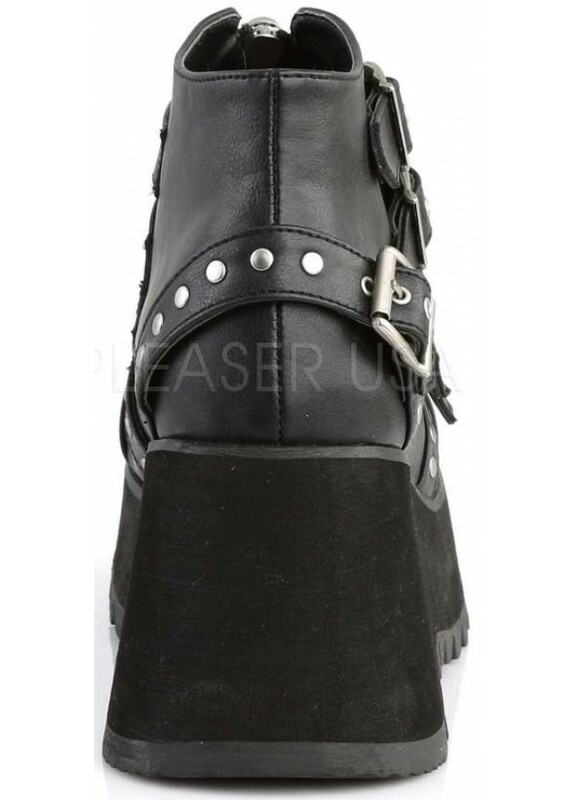 The heel is 3 1/2 inches high. Item Number: PL-SCENE-30 | Approximate Size (Inches): 14.00 wide x 8.00 deep x 12.00 high | Approximate Shipping Weight: 4.00 lbs.